Scientists have given essential fats (a.k.a. essential fatty acids or EFAs) their name because the body must have them to survive, but cannot synthesize them from any other substance we eat, so a direct food source is required. Hence, the name essential. There are many kinds of fats, but only two kinds of essential fats: Omega 3 and Omega 6, both of which are unsaturated fats. EFAs should form the foundation of our fat intake as they are essential to health, but cannot be produced by the body. They differ to the Omega 3 found in fish oil which the body can produce from seed oils. Additionally, fish oil is a poor source of Omega 6. Enjoyed daily as part of your diet, Ultimate Oil Blend gives you a foundation of the good fats you need, without the bad fats you don’t. Supplied in a dark glass bottle, which minimises the effects of light and oxygen on the delicate oils. The essential fatty acids in Ultimate Oil Blend help the cells that make up our skin, hair and nails work properly, helping skin to retain moisture and look its best. Hair also looks healthier and lustrous and nails become stronger. 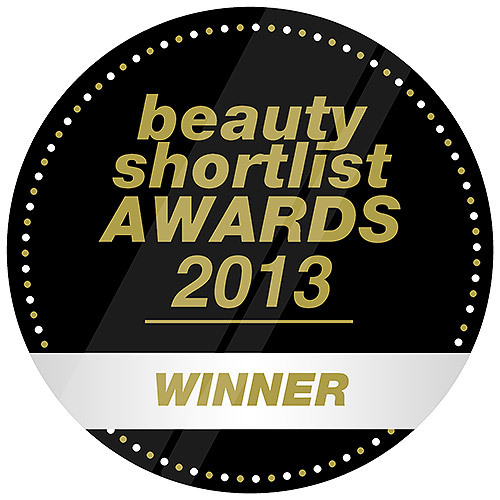 Udo’s Choice Oil has won Best Beauty Supplement! 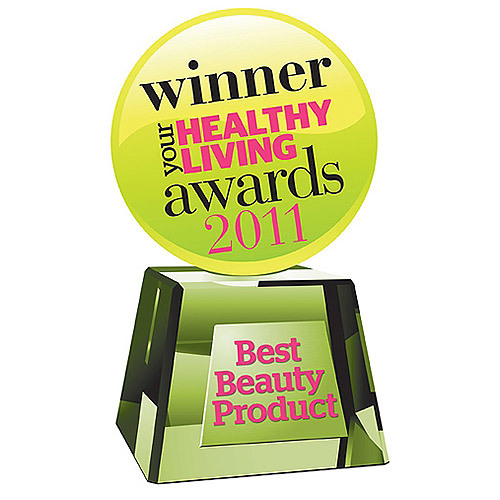 This awards category, themed "Feel Good Beauty", highlighted the connection between beauty and wellbeing, with a particular focus on eco-luxury, spa-style and ‘mind, body, beauty’ brands and products. 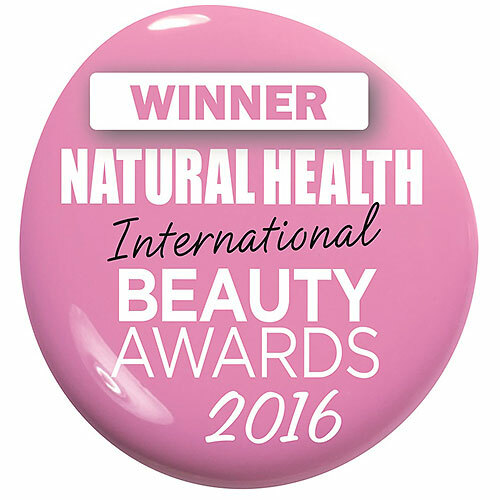 Three products were shortlisted in each category and Udo’s Choice Ultimate Oil Blend came out on top as the winner in the Best Beauty Supplement. 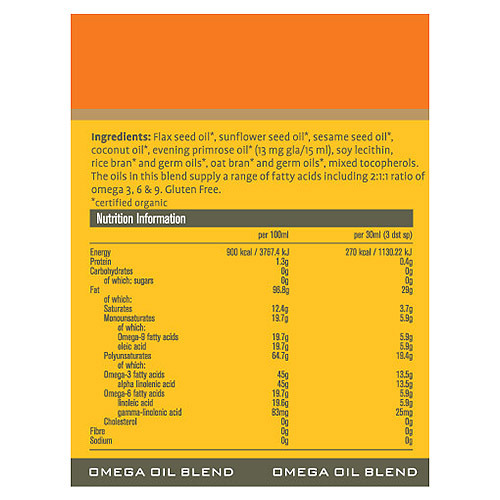 The oils in this blend supply a range of fatty acids including 2:1 ratio of omega 3 and 6. 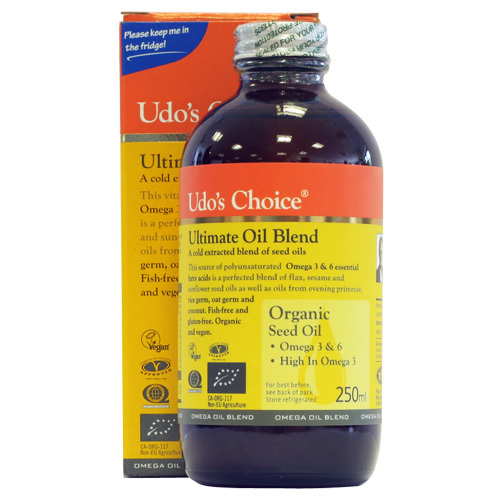 Storage:: Sealed Udo`s Choice Oil Blend bottles can be kept for up to eight months refrigerated and for over two years in the freezer (oil shrinks when frozen so the glass bottles will not break). For freshness, the oil is best used within eight weeks of opening the bottle. Once opened, use within 8 weeks and keep refrigerated between uses. 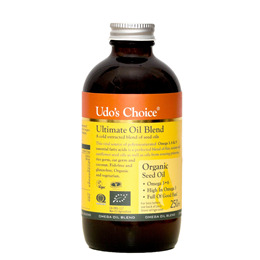 Below are reviews of Udos Choice Ultimate Oil Blend - 250ml by bodykind customers. If you have tried this product we'd love to hear what you think so please leave a review.